We recently did some spring cleaning throughout the office. 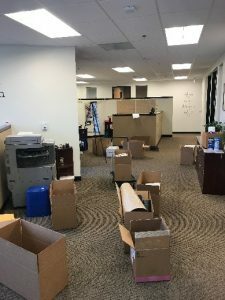 We ended up sending 20 large boxes of recycled paper along with a ton of other little things that accumulate over the years. Well, Susan Russel uncovered an old message I wrote for our members. I figured… what the heck, let’s recycle this too! There have been a huge number among us who have been expecting to find success… and they’ve been finding it! I can always tell in the first 3 seconds on the phone with a Member or their staff that the person I’m talking to is getting what they’re expecting to find. Sometimes they’re not expecting to find success, they’re not disappointed. Sometimes they’re tired, their voices are missing that hint of determination in the face of challenges this game of work presents them! I spoke to two attorneys that prompted this message. My conversation with the first attorney went something like this: How are things going?… “GREAT! April is the best month. It’s tax season, everything is geared up for people to have tax issues addressed. It’s just a matter of scheduling them around their CPA appointment.” Then we talk about what May will be like and the response to that was, “Oh it’s going to be fantastic, my seminar schedule is… in fact, Jennifer, May is the BEST month for me because…” This guy could have gone through every month of the year telling me why August or December was going to be a GREAT month. The second attorney I spoke with has been looking for the reasons that are going to cause May to be the same grind April was… and guess what… for him, it will be. I’ve been needing a bit of a “check up from the neck up” myself. This always prompts me to contact the key people in my life that over the years I’ve come to rely on for motivation and an eye exam. Every so often we’re all tempted to see things out-of-focus. I, for one, finally get to a point once in a while where I wake up and realize it’s not the things I’m looking at that are fuzzy, but rather that I haven’t cleaned my glasses in a while. Get back to the basics… if your results aren’t the same, chances are your expectations have changed. Look at every detail of activity that you were doing (in your work and personal life) when you were getting the results you were happy with and re-create those details – your ad, your letters, your facial expressions on the phone, eye contact with clients, degree of enthusiasm. Track what’s going on in your business… KNOW HOW MANY FAMILIES YOU WANT TO HELP THIS MONTH AND HOW MANY YOU’VE DONE SO FAR! Set 2 goals, a real goal and a dream goal. Make it a race to reach your goal by the 21stof each month so your dream goal becomes possible. Then if you ONLY HIT YOUR REAL GOAL, gee, the month was still a success! Every initial consultation check belongs on a growing list of names on your TM Calendar or DayTimer. Fake it till you make it…Tom Hopkins says that there are physical things that a person does when he or she is excited or enthused. Identify those things (eyes get wider, you lean forward in a meeting, you talk louder or quieter, you touch people more, you smile, your eyes sparkle, etc.) and do them anyway… even if you’re tired. I once paid too much for a haircut. The only time I could get in to see the guy was at 8:30 pm, the last haircut of the day, he spent exactly 13 minutes cutting my hair. He didn’t ask questions about what I wanted. he did however talk a great deal of the 27 other haircuts he’d done that day, his personal record, then he tried to sell me some hair-goop and told me when to come back, I never did. He was too tired to make me feel important, he didn’t ask me for my opinions, needs, wants – the haircut was great but wasn’t worth it. ONLY TALK TO POSITIVE PEOPLE! Misery loves company, that is when you dial up other Members you can count on for a shot in the arm. They have focus, determination and ambition (and if they don’t, they’re at least willing to fake it till they make it). Borrow it from them and hang up on the people that are moaning.